Award recognizes Winterfest, Inc. for its outstanding efforts in promoting Broadway theater to the Greater Fort Lauderdale community. FORD LAUDERDALE, Fla., October 3, 2018 – The glimmer of Broadway will be in South Florida on October 9, 2018, as Susie Krajsa, president of Broadway Across America, presents Winterfest, Inc. with the Broadway League’s “Star of Touring Broadway Award.” The award honors board members, government officials, donors and volunteers who support and promote the Broadway Series, enriching their communities and hometowns. Winterfest, Inc. was nominated for elevating the profile of Broadway in Fort Lauderdale and building excitement locally for upcoming engagements of hit Broadway shows. The Seminole Hard Rock Winterfest® Black Tie Ball highlights Broadway performances within the event along with themed décor, table names, and Broadway-inspired fashion. In 2017, The Seminole Hard Rock Winterfest® Boat Parade (“Greatest Show on H2O”) was themed “Broadway on Parade.” Private boats and mega yachts with decorations reflective of Broadway shows made their way along the 12-mile parade route where more than 1 million live viewers lined the waterways to watch, while over 9 million viewers watched the Winterfest TV special. Representatives from Winterfest, Inc., Seminole Hard Rock Hotel & Casino Hollywood, government officials, and community leaders will be on hand for the award presentation. Other representatives from Broadway Across America will be in attendance with Ms. Krajsa including performers from “The Phantom of the Opera” – Christine, and Raoul Media and Winterfest, Inc. supporters will also be invited to the presentation from 11:30 a.m. -12:30 p.m. Light refreshments will be served. 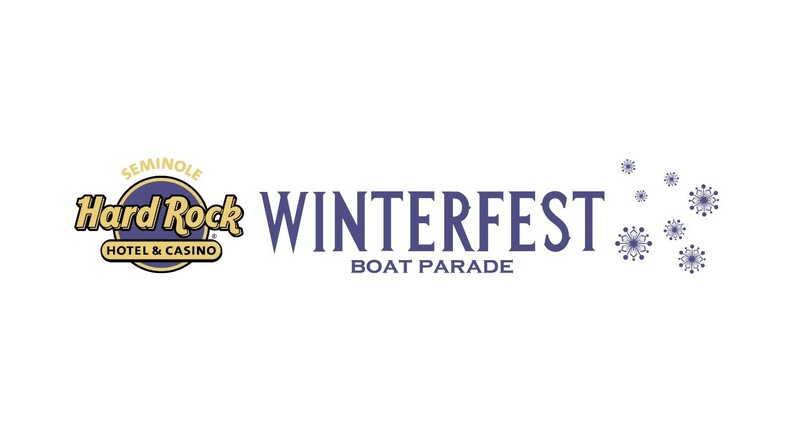 For more information about the Seminole Hard Rock Winterfest® Boat Parade or how to attend this year, please visit winterfestparade.com or call 954-767-0686. Alex Haunty paints original works using acrylic on canvas that are then printed as giclee’ prints, posters, and cards. Alex donates a significant portion to his nonprofit Alex Haunty’s Theater and Arts Fund, Inc., to buy tickets for people with disabilities to see Broadway shows. Delta Dental of Michigan has supported Wharton Center for the Performing Arts’ Broadway season since 1986. Don Rodman, Founder and President of Rodman for Kids, an umbrella matching gift charity that raises funds for youth-focused social service organizations that support at-risk youth in Massachusetts. THE BROADWAY LEAGUE (Charlotte St. Martin, President), founded in 1930, is the national trade association for the Broadway industry. The League’s 700-plus members include theatre owners and operators, producers, presenters, and general managers who present in nearly 200 markets in North America. Each year, League members bring Broadway to nearly 30 million people in New York and on tour across the U.S. and Canada. The Broadway League has recently added a new category for International membership to collaborate with professionals from around the world who produce and present Broadway quality theatre. The Broadway League annually co-presents the Antoinette Perry “Tony” Awards®, one of the most coveted awards in the entertainment industry. Key League programs and resources include Kids’ Night on Broadway®, The Jimmy® Awards, Stars in the Alley®, Internet Broadway Database® (ibdb.com), Broadway.org, SpotlightonBroadway.com, Commercial Theater Institute (with Theatre Development Fund), as well as numerous conferences and forums for our members. Broadway Bridges™, with the support of the New York City Department of Education, is aimed at giving every New York City public high school student the opportunity to see a Broadway show before graduation. TheatreAccessNYC (co-produced with TDF) is the one-stop website of accessible Broadway performances for theatergoers with disabilities. Families.Broadway is the League’s site for family-friendly offers and pricing. Broadway.org is the League’s official on-line headquarters for Broadway in NYC, on tour, and internationally. Broadway.org is the League’s official on-line headquarters for Broadway in NYC, on tour, and internationally. For more information visit BroadwayLeague.com, or follow @BroadwayLeague on Twitter and visit us at Facebook.com/BroadwayLeague. Broadway theatres are filled with an exciting array of new and classic musicals and plays, providing the perfect experience for every audience. Great seats are available at every price point and are easy to buy online, by phone, or in person at theatre box offices. It’s always the perfect time to see a show. Broadway performs every day of the week at multiple curtain times to accommodate every schedule.